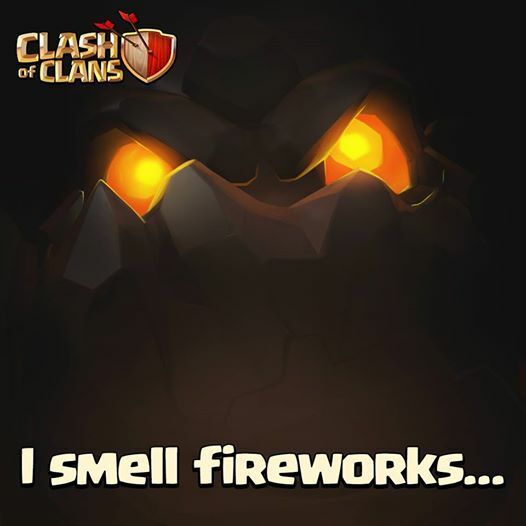 The Lava Hound is one of many Dark Troops in the Clash of Clans game. These fiery beasts can’t resist chasing after Air Defenses, providing excellent protection for other troops. Once destroyed, they erupt into many smaller, weaker menaces. The Lava Hound is like a flying fiery Golem, except its favorite target is specifically Air Defenses. The Lava Hound is a pyrotechnic (volcanic) hound-like creature with wings. When the Lava Hound attack buildings, it bounces up and down slightly while shooting little fireballs at it like a Minion. Lava Hounds prioritize Air Defenses above all other targets, and will bypass all other enemy Buildings and Troops while any Air Defenses remain on the battlefield. This is true even if they are under attack by enemy Clan Castle troops, Heroes or Skeleton Trap skeletons. Once all Air Defenses are destroyed, they will continue to attack any other remaining Defenses. Note that like all troops that prioritize defenses, Lava Hounds do not consider the Clan Castle to be a Defense regardless of whether or not it contains enemy troops. Once all remaining Defenses are destroyed, Lava Hounds become like any other Troop with no preferred target; they will attack the nearest building to them regardless of type, and will turn and attack enemy Units if they become aware of any nearby. Description of common tactics of usage a Lava Hound on a battlefield is Here. At level 1 and 2, the Lava Hound has a small amount of lava underneath it’s skin. At level 3, the spikes on it’s back turn into lava. Its eyes also become larger and more red. The lava under the skin of the forearms also disappear, and its wings grow in size. 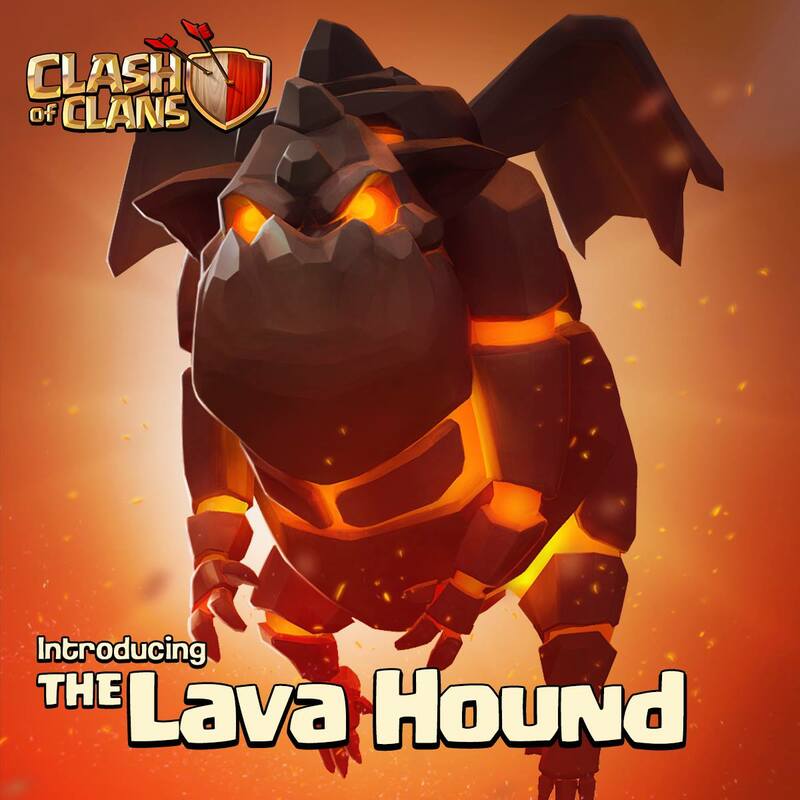 The Lava Hound was added in the 16 September 2014 update. You can have a maximum of 8 Lava Hounds at one time in a complete set of fully upgraded Army Camps. This number increases to 9 if you include the 1 that can fit into a level 5 or higher Clan Castle. If you have a Lava Hound in your Clan Castle and it splits into Lava Pups during a defense, it will turn back into a Lava Hound if at least one Lava Pup survives the attack. The Lava Hound bears a strong resemblance to the Lava Dragon from DragonVale, another popular iOS game. When clicking on an Army Camp, the Lava Hound turns away from the screen. 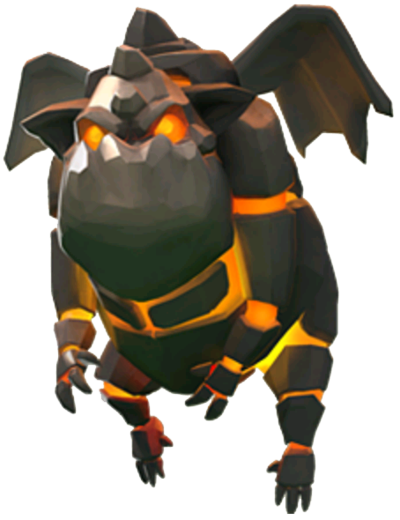 Some refer the Lava Hound as the offspring of a Golem, Minion, or possibly an Inferno Tower because of the lava similarities. The level 3 Lava Hound has the highest hitpoints among all Troops; however, it has lower DPS per housing space (0.47) than any other Troop, even lower than the level 1 Golem at 1.27 DPS per housing space. The Lava Hound takes up the most space of any Troop in the Army Camp, along with the Golem (30 housing spaces). The Lava Hound is currently the final Troop unlocked in the Dark Barracks. It Is rumored that they do not have any shadow but they do.